Debi is a leader and mentor experienced in leading Non-Profits, Operations and Service teams through business change and transformation in both large public for profit and small private for profit and not for profit companies. She has led and managed cross-culturally. Serving as CEO since 2009, Debi has led the Tigard Chamber to new heights as it drives a strong local economy, provides business networking & visibility, promotes community and advocates for business with government through the design and delivery of key programs, events and services to members. In her tenure, the Tigard Chamber has seen top line revenue growth of over 100%, launch of Leadership Tigard in 2016, strengthened relationships and partnerships with the City of Tigard and now the Tigard Downtown Alliance, membership growth, expanded community footprint and visibility through acquisition of the Tigard Farmers Market and revitalization of downtown Tigard through strategic tenanting of the Tigard Chamber building with Symposium Coffee and relocation of the Tigard Farmers market into the downtown core. The Tigard Chamber’s connection with City of Tigard through relationship building and advocacy has strengthened, enhancing the business voice with the city, most recently through launch of candidate endorsement process which began with the City Council and Mayor’s race. Debi is the 2018 Recipient of the William R. Haas Chamber Executive of the Year Award from the Oregon State Chamber of Commerce for demonstrating innovation, influence, collaboration and leadership. Prior to joining the Tigard Chamber, Debi spent 17 years in the high tech and telecommunications industries in a wide variety of senior management and executive roles with U.S. and global responsibility, leadings teams of up 130 people in broad Operations and Service roles. Before beginning her high tech career, Debi spent almost 9 years in the U.S. Navy serving as a Supply Corps Officer of which 5 ½ years were spent working abroad in remote locations. 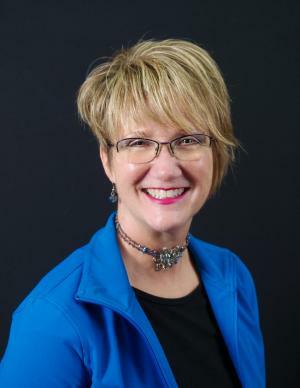 She currently serves on the Board of Directors for the Tigard Downtown Alliance, Luke-Dorf, Tigard Chamber and the Washington County Chambers of Commerce. Debi and her husband live on 5 acres in Sherwood and are kept company by their German Shepherd, a llama, 3 alpaca’s and chickens. For fun Debi likes to hike with her dog, pursue creative activities, DIY with her husband, and do a variety of sports activities. 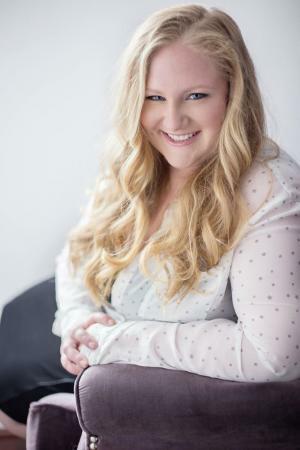 Before coming to the Tigard Chamber of Commerce, Jessica worked for the World Forestry Center as the Event Liaison where she assisted with event rentals and day of event coordination. Prior to her work at the World Forestry Center, she participated in the Disney College Program at the Disneyland Resort in Anaheim, California. Jessica started with the Tigard Chamber of Commerce as a volunteer assisting with the silent auction for Shining Stars then transitioned to working with the Tigard Farmers Market. Jessica Love has a Bachelor of Arts in Communication and a minor in Entrepreneurship from Western Oregon University. Jessica enjoys watching sports and running her wedding planning side business, Love Blossomed Events.